There are almost 10million disabled people in the UK, 70% of whom have a non-visible disability. The barriers preventing disabled and D/deaf people from enjoying a film in public are multiple, but with a few reasonable adjustments, exhibitors can make the experience welcoming and comfortable. Film London is collaborating with diversity and disability consultants Freeney Williams to provide training and advice to Film Hub London members. Film Hub London Members can benefit from a new helpline, which will provide support and guidance in all aspects of their work in relation to disability and disabled people; both as customers and employees. The Helpline will be facilitated by Freeney Williams Ltd the UK’s leading specialist consultancy in this field. If you have any queries about making your events more accessible, how to ensure you welcome disabled customers and what to do if problems arise, email enquiries@freeneywilliams.com stating the name of your Hub Member organisation and your query. We'll announce in-person training sessions as they arise, but in the meantime we've created this guide to help you become a more accessible exhibitor. This is not an exhaustive list but it can be helpful to consider potential barriers caused by these disabilities. With this in mind, we’ve developed some practical tips for cinema exhibitors who wish to be more welcoming to disabled audiences. Do you offer a free ticket to CEA card holders? Is this information clearly displayed and is all staff aware? There are DVDs available via the Cinema Exhibitors’ Association which you can use to train your staff on welcoming disabled audiences. For more information please contact grainne.peat@cinemauk.org.uk. 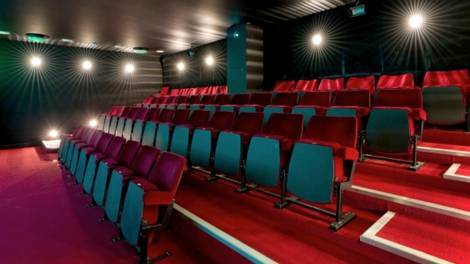 Find out about Access Cinema training available through Film Hub London, or email filmhublondon@filmlondon.org.uk.